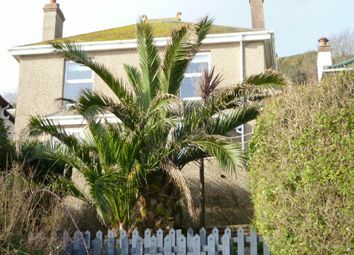 The property in its current configuration whilst benefitting from a quality kitchen and bathroom does require work to the roof and some damp issues but as there was planning permission passed to reconfigure the whole property, these works have not been carried out. 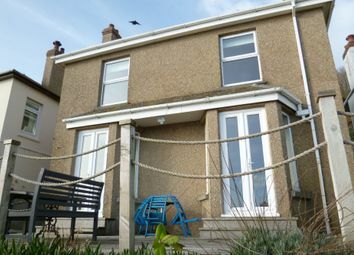 Cartref represents an excellent opportunity to model a spacious family home with a sun terrace along the front of the property and parking to the rear, making this a truly excellent opportunity and we would recommend an early viewing to avoid disappointment. 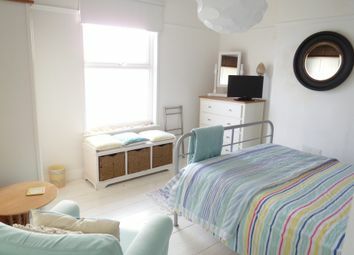 Entrance hall: Understairs storage cupboard, exposed floorboards, picture rail, night storage radiator. Cloakroom: White suite comprising wash hand basin, low level w.C.. 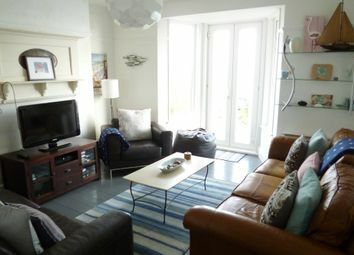 Living room: 15' 2" x 13' 0" into UPVC double glazed bay window (4.62m x 3.96m) Lovely panoramic sea views across Mounts Bay, St Clements Isle and beyond, picture rail, tv point, night storage radiator, UPVC double glazed doors to sun terrace. 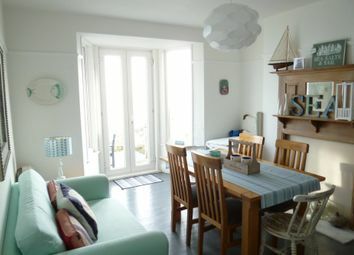 Dining room: 15' 2" x 12' 0" into UPVC double glazed bay window (4.62m x 3.66m) Lovely panoramic sea views over Mounts Bay to St Michaels Mount, St Clements Isle and beyond, exposed floorboards, boarded fireplace, picture rail, night storage radiator, UPVC double glazed doors to sun terrace. 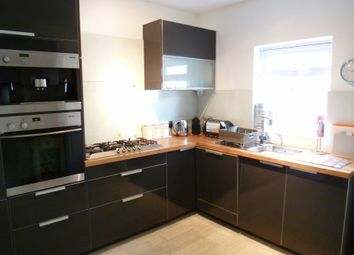 Utility room: 8' 0" x 5' 9" (2.44m x 1.75m) Stainless steel inset single drainer sink unit with cupboards below, plumbing for washing machine, solid wood work surfaces. First floor landing: Built in airing cupboard housing the hot water cylinder, exposed floorboards, night storage radiator, access to the roof space via a pull down ladder. 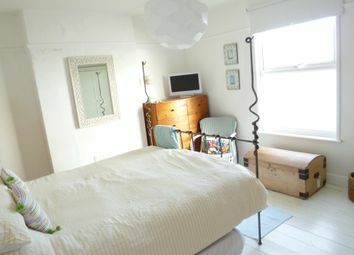 Bedroom 1: 13' 2" x 12' 1" (4.01m x 3.68m) Lovely panoramic sea views over Mount's Bay to St Michaels Mount, St Clements Isle and beyond, UPVC double glazed window, picture rail. 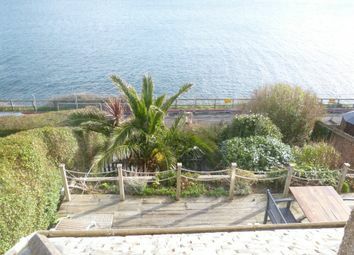 Bedroom 2: 12' 2" x 12' 1" (3.71m x 3.68m) Lovely panoramic sea views over Mounts Bay to St Michaels Mount, St Clements Isle and beyond, UPVC double glazed window, picture rail. Bedroom 3: 11' 4" x 9' 10" (3.45m x 3m) UPVC double glazed window to the rear, picture rail. 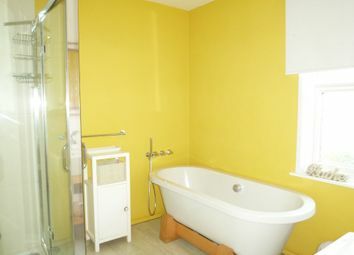 Bathroom: White suite comprising double ended bath with chrome fittings, separate glazed shower cubicle with chrome fittings, wash hand basin with shelves below, low level w.C., UPVC double glazed window, chrome towel rail. 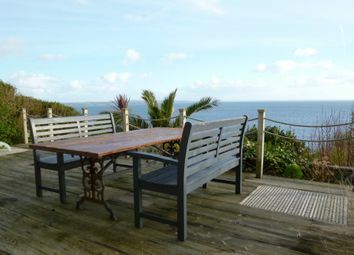 Outside: To the front of the property is a decked sun terrace which takes full advantage of the sweep of Mounts Bay to St Michaels Mount, St Clements Isle, Mousehole village and beyond. 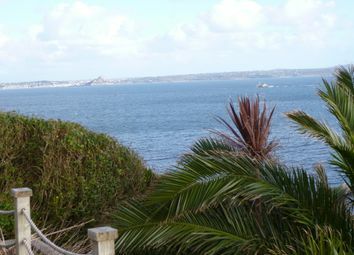 There is a further lower garden which is stocked with exotic shrubs, with pedestrian access to the cliff. To the rear of the property is a parking bay for two cars which is in need of some attention. Services: Mains water, electicity and drainage. 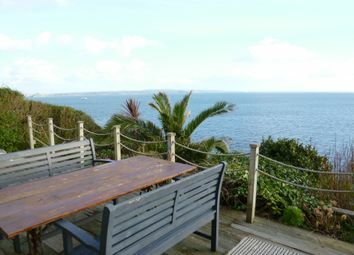 directions: From Penzance, proceed into the village of Mousehole, you will pass Cartref on your right hand side. Continue throught he give way sign and just before the car park on your left, turn right which double back on you behind the properties. Proceed along this road and you will come to the parking bay to the rear of Cartref on your right hand side.